That championship feeling is a great one and Coach Chris Hennessey’s soccer program at Lee University, a Christian university near Chattanooga, TN, now knows it well. As the 2017 GulfSouth Conference Champions, Lee Women’s Soccer continued their magic carpet ride all the way to the Sweet 16 of the NCAA D2 National Tournament. On the way to becoming the GulfSouth Conference Champions, Lee Women’s Soccer participated in another successful team fundraiser with Campaign Sports off the field. Championship level success creates greater opportunity, which also creates more travel expenses. The $4,000 raised helped cover airfare & accommodations to Fort Lauderdale, FL and Jefferson City, TN respectively. We wish to thank Coach Hennessey and assistant coach Sami Rutkowski for the opportunity to assist their program once again as well as the student athletes for doing a terrific job executing the fundraiser on the fly during the midst of this historic season. 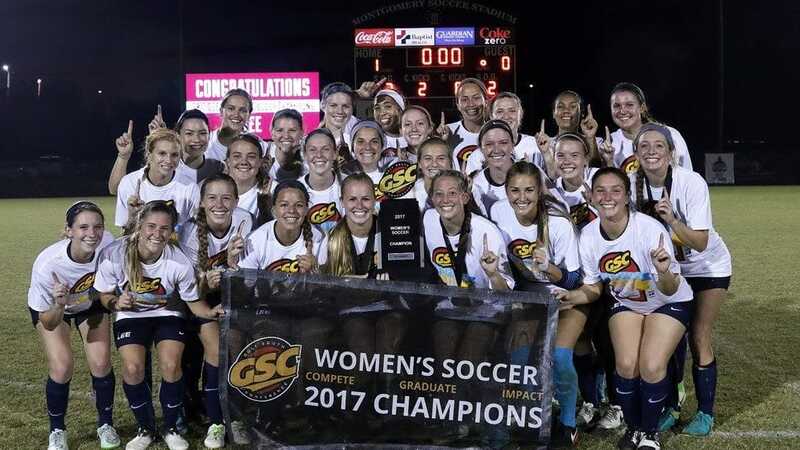 We hope 2018 sees Lady Flames Soccer repeating as GSC Champions and capturing the NCAA DII National Championship as well!